Feature Requests – Workspace 365 - How can we help? If you are missing a feature in Workspace 365, feel free to register your request! We are monitoring these requests constantly. Up-voting and Down-voting of requests will help us evaluate the importance of the feature. However, if we notice the impact of your feature request could be big, we might develop it in the near future. 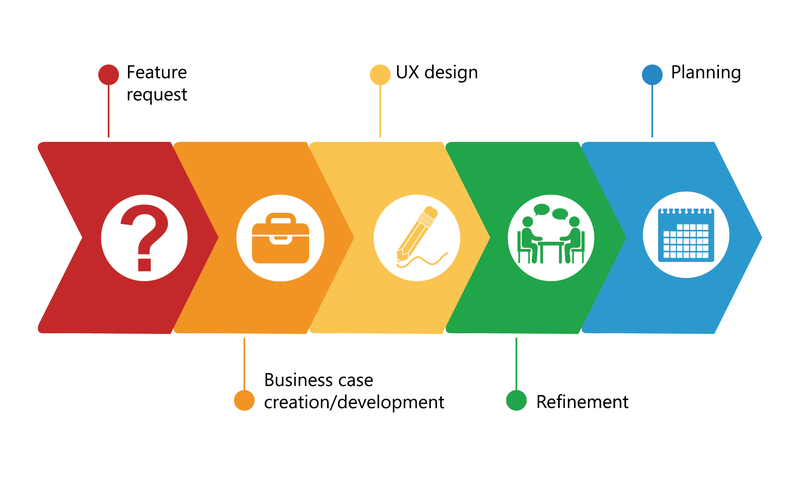 The feature request process is as follow: Feature request -> Business/use case -> UX -> Refinement(s) -> Planning.